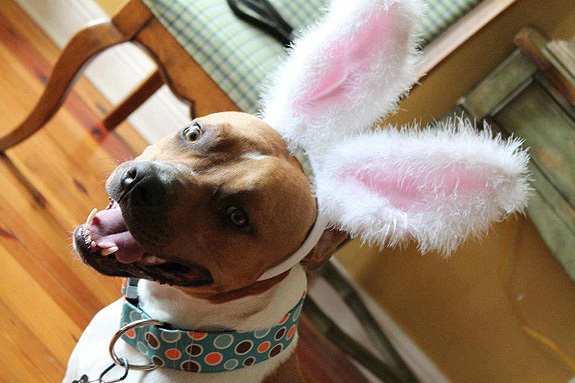 We wanted to share these amazing, cute photos of our fans’ pit bulls enjoying Easter. Thanks everyone for sharing! 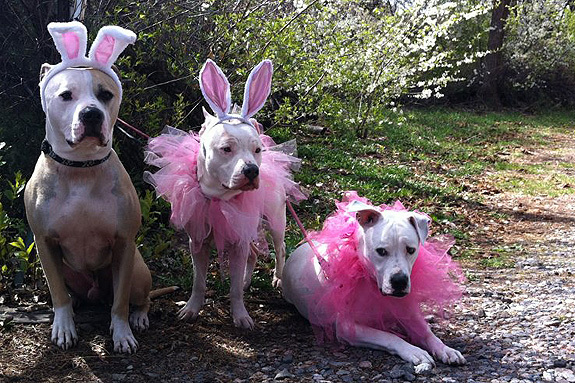 Pirate, Zoey and Bear dropping by to say Happy Friday Stubby Dog! You’re the BEST! 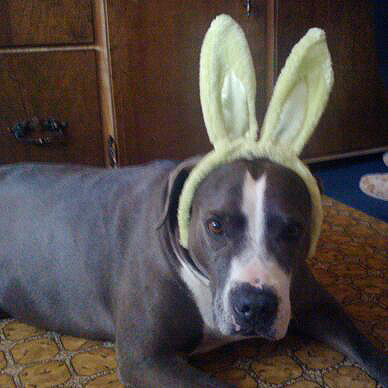 Happy Easter from Beau and I! 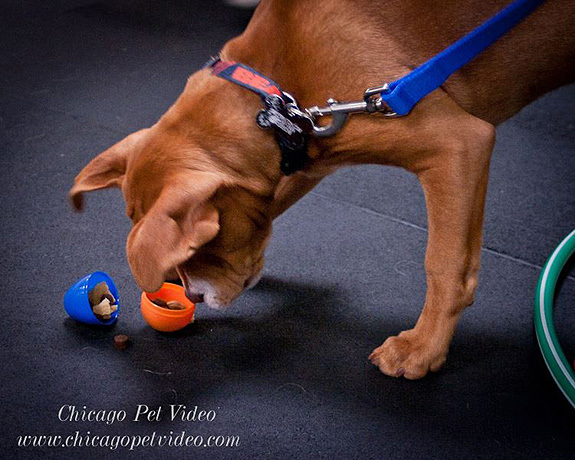 Happy Easter from Chicago Pet Video! 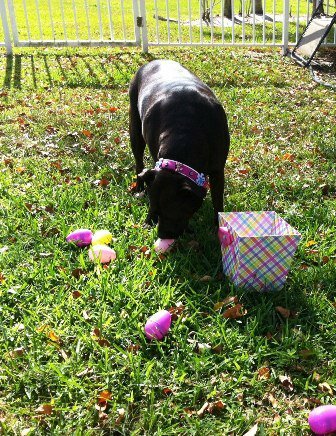 (video filmed at Doggy Easter egg hunt hosted by Red Door Animal Shelter) enjoy! 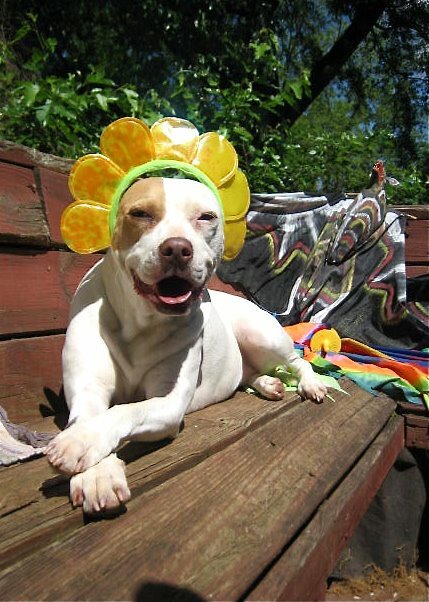 LOLA SEZ: In the minute that it takes you to look at, consider and SHARE this picture, another 50 puppies & kittens will be born in the United States. 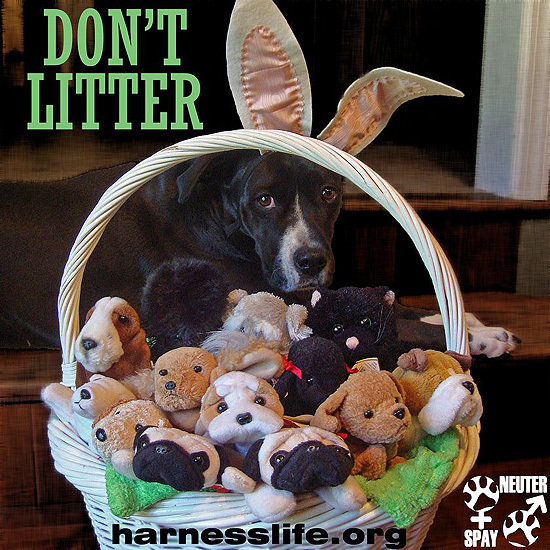 Help stop pet overpopulation at the source: ♀Spay & ♂Neuter. 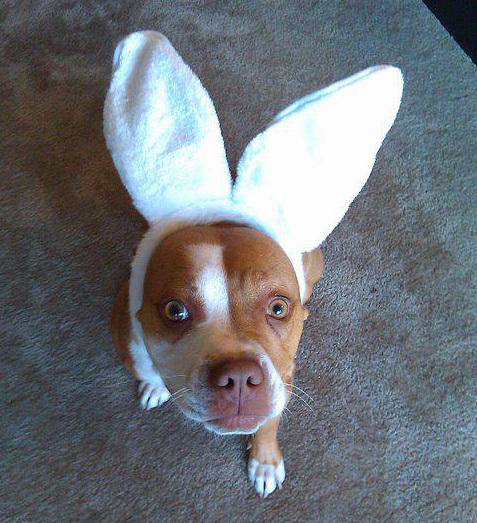 Leeloo would like to wish everyone a very Happy Easter! 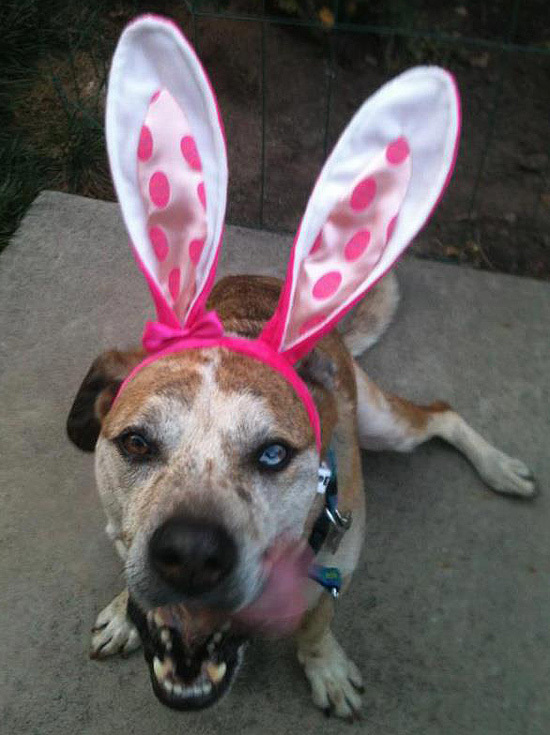 Rocky is licking his chops hoping for some Easter treats! 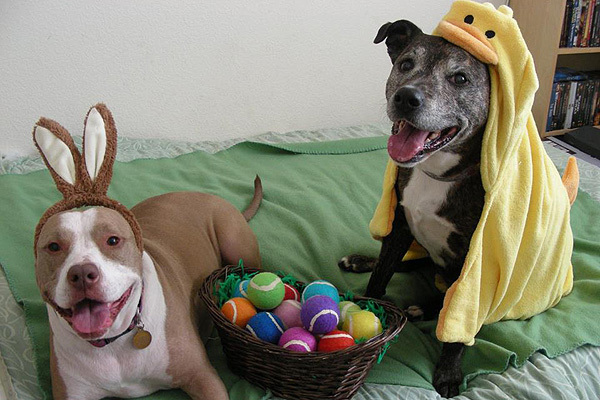 Happy Easter to Stubby Dogs large and small! 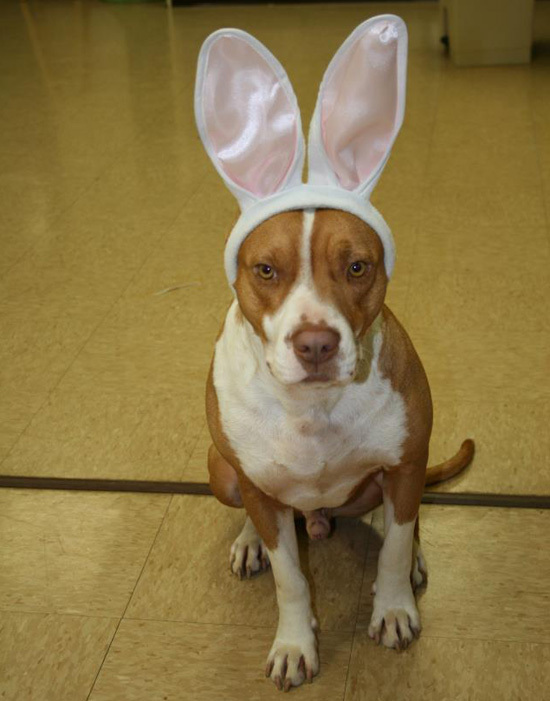 My dog Evander has no ears but luckily the Easter Bunny let him borrow his.